Call 1-877-MD.BONES with all injury-related questions. 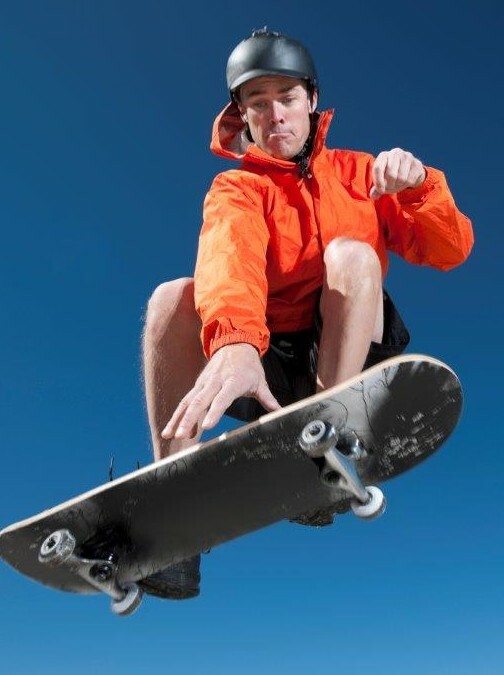 Dr. John Fernandez, a MOR hand, wrist and elbow specialist, treats skateboarding injuries during the summer months that in many cases he feels could have been prevented. He discussed this recently in a Chicago Tribune’s Oak Leaves and Hinsdale Doingsarticle. He points out that as skateboarding has become more popular, but skaters aren’t wearing a helmet and other safety gear, the number of skateboard-related injuries has risen. That’s why he and the other MOR hand, wrist and elbow physicians have created the Skate Safe initiative. “If you can even help two or three people from major injury, that’s a big win,” Fernandez explains. ‘Skate Safe’ is a public awareness program sponsored by Midwest Orthopaedics at Rush and several Chicagoland municipalities (Parks and Recreation departments) that aims to help reduce the number of skateboard injuries by providing helpful safety information and injury prevention tips.